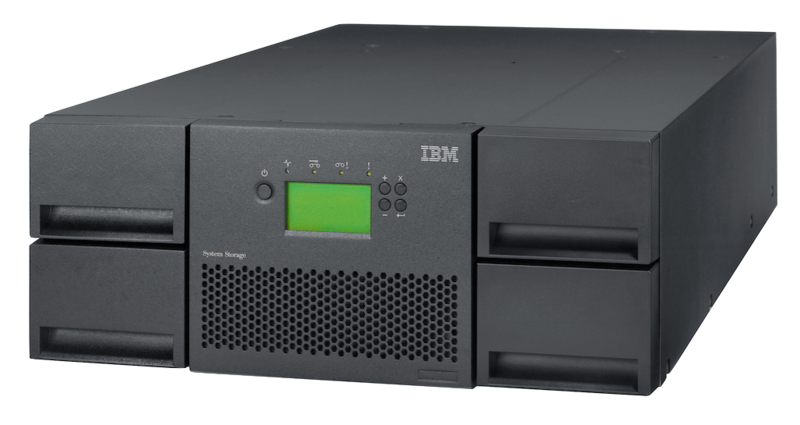 Put the tapes into an HPE, IBM, MagStor, Oracle SAS, Overland, Qualstar, Quantum, Spectra, StorageTek or Tandberg Library and let YoYotta Automation take control. 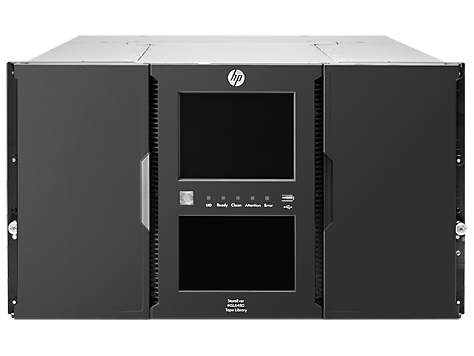 YoYotta Automation can control one library and up to 4 LTO drives and these can be any mix of library or standalone. See all the loaded tapes on the left, the empty slots on the right. The tape drives are shown at the bottom. There are buttons to manually move, format, mount and eject tapes, but YoYotta will do all this automatically. 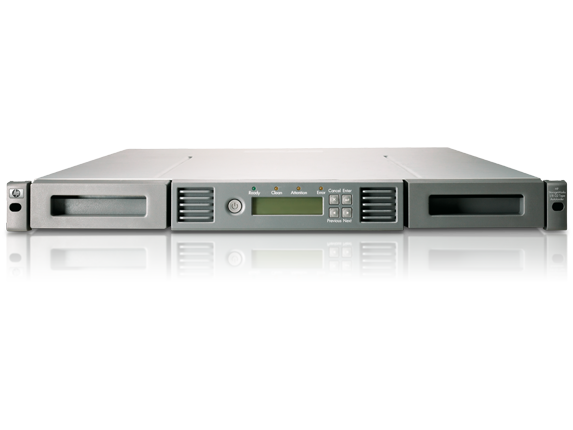 YoYotta Automation supports up to 4 drives and 160 tape slots. Both mail slots and ordinary slots can be used for tapes, so no spaces are wasted. However it can be quicker to open just the mail slot on a library so the Export button will automatically move a tape into a mail slot. 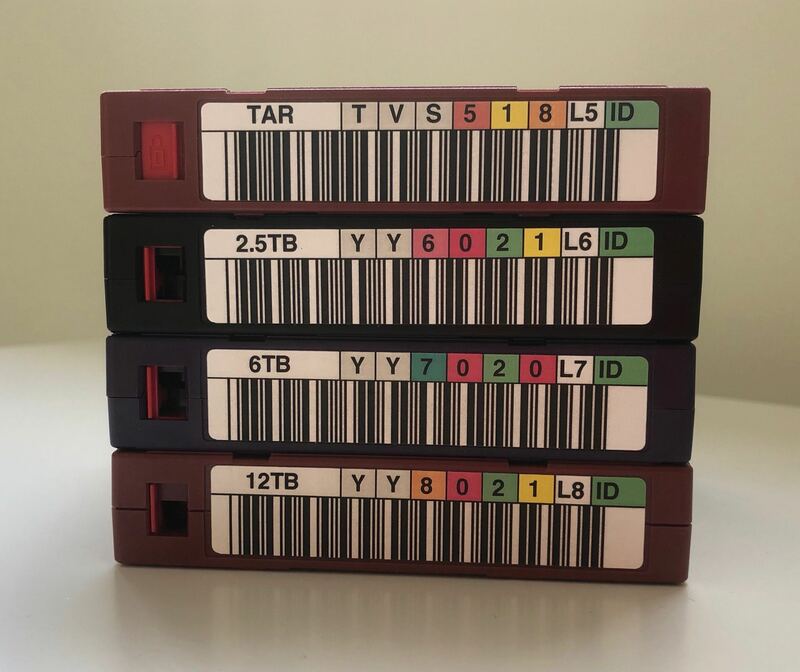 The labels have a unique 6 character code with either L5, L6, L7, M8 or L8 on the end for LTO-5, LTO-6, LTO-7 or LTO-8 tapes.For example 123456L5, ABCDEFL6, YO1234L6, 17376AL5. YoYotta will use the barcode to format the tape. No need to manually enter the barcode. This is an LTO standard, using more than 6 characters means that the tapes will be difficult to use. We can supply LTO tapes in Europe at great prices with custom YoYotta labels printed on durable plastic. They have a standard barcode, plus a globally unique NFC chip that allowing easy tracking. You can add unique text labels on the left as shown opposite. So you can clearly label Master and Safety, or add a project ident. Unlike other labels each tape can have a different code, you are not limited to a set sequence. After the archive completes the archived assets' metadata will be stored in the database. So always add a few extra tapes to the job. Drives for libraries are available with SAS or Fibre Channel interfaces. To connect a SAS or FC LTO-8, LTO-7, LTO-6 or LTO-5 drive to the old MacPro use the ATTO ExpressSAS H680, H1280 or Celerity FC PCIe cards from ATTO. 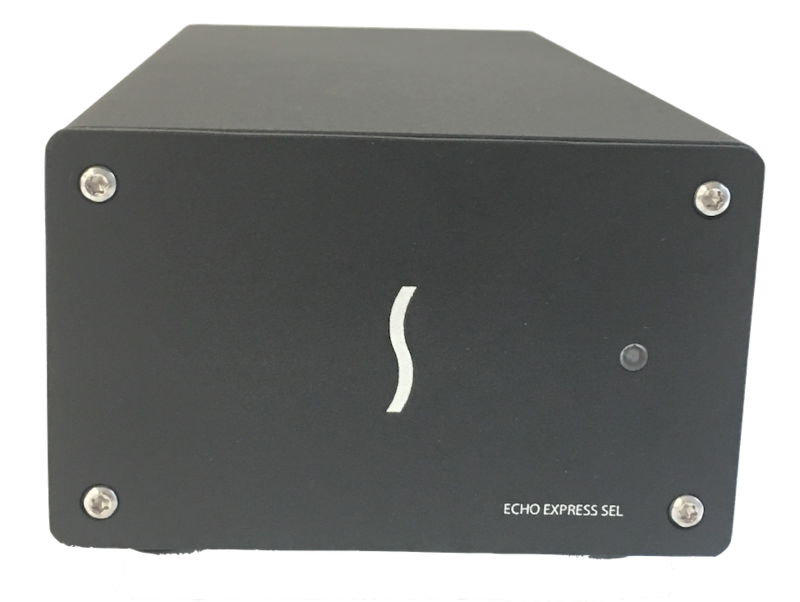 To connect a Thunderbolt Mac to a SAS LTO library use the ATTO H680 or Celerity FC cards inside a Thunderbolt PCIe expansion unit, like the Sonnet Echo Express SEL. It is not possible to set the Oracle SL150 control path to use a FC drive. To use it with macOS, there has to be at least one SAS drive in this library and use this as the control path. An alternative is the mBridge from mLogic connects a Thunderbolt Mac to a SAS LTO tape library. It is rack mountable and has a built in power supply. There is also a FC version available. YoYotta can supply the mBridge, contact support@yoyotta.com for details. New design, fast loading of tapes, recommended unit. 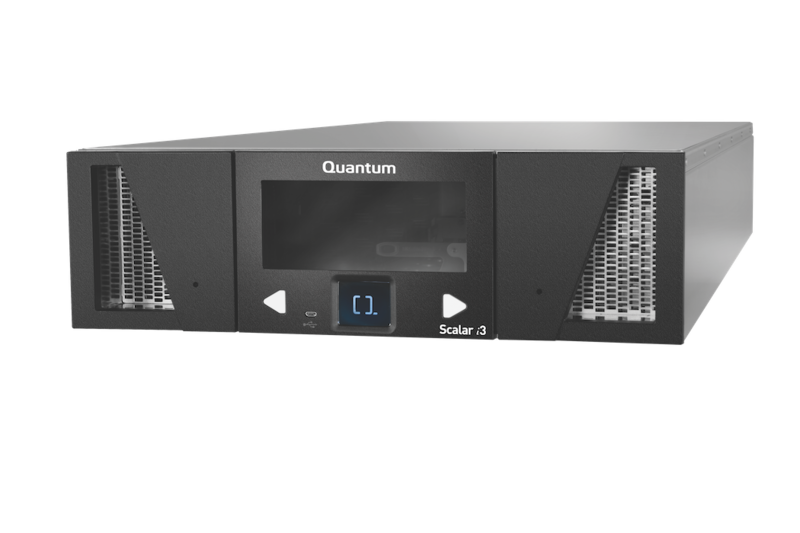 YoYotta can supply Quantum libraries, contact support@yoyotta.com for a quote and advice as with multiple LTO-8 or LTO-7 drives you will need fast storage ! 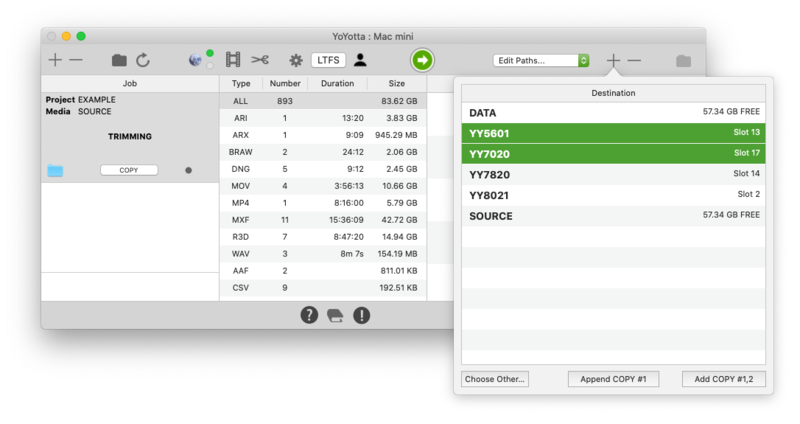 YoYotta Automation also supports the larger i6 unit.